With such a simple name, one might not expect to encounter the vibrancy and splendor that covers the walls from floor to ceiling inside Brown’s Fine Art and Framing. Much of the art that covers the 6,000 square feet of gallery walls comes from artists right here in Jackson. That commitment to community and in turn the community’s commitment to the Browns is a large part of why they are celebrating their 50th anniversary this year. Before there was a gallery, there was just a framing store. 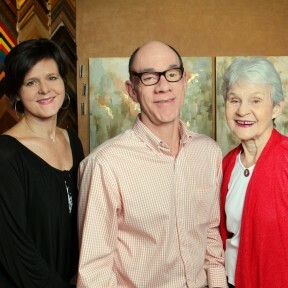 In 1965, Mary Grace Brown and the late James Brown opened shop on North State St. not necessarily out of passion for framing, but more out of financial necessity. Their children, Allison and Joel, grew up in Fondren, going to the Tote-Sum store and eating chili and onion burgers. They were both very adamant that they would never work for the family store, as Joel said about his parents, “Y’all work too hard!” Yet as the business developed it grew into a passion the whole family supported, it became somewhat of an inevitability that the children wound up in the family business. With a desire to expand and display work by the great local artists, the Browns built the current storefront from the ground up. 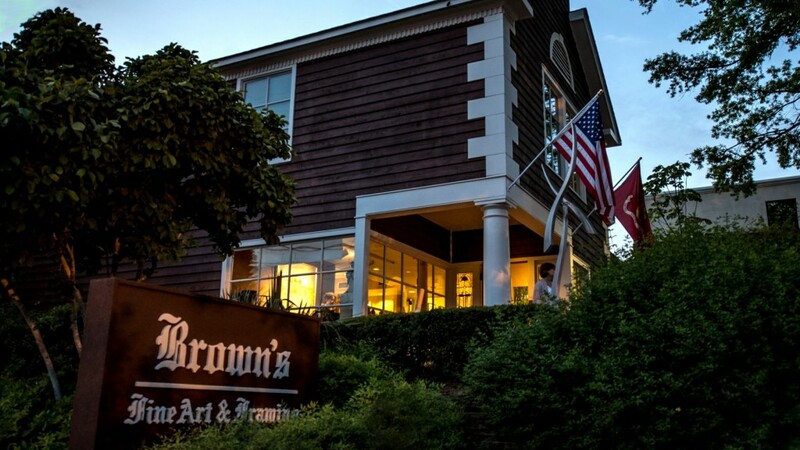 That was in 1983, and upon opening their doors Brown’s became the first store in the country to be exclusively built both for framing and as a gallery. In the early 1990s, as Fondren underwent a period of transition, Joel and other local business owners knew they needed to organize. That was the beginning of the Woodland Hills Fondren Business Group. The businesses rallied around each other with events such as Fondren Frolic, which began in 1995. In Joel’s words, “It would’ve made Daddy over the moon,” to see how the Fondren community has continued to grow since his passing. Today, Brown’s is committed to using the best techniques and materials in framing and to showing the world what Mississippi has to offer. Their main focus will always be to showcase the artists within the state, art that Joel firmly believes is the best found anywhere. I’m thrilled to read all about Fondren – which I never knew about as a community. All I ever knew was that Mary Grace and dear Cousin James worked always so hard to make sure whatever they did was the best! Vicki and I are so proud of all our Mississippi cousins, but none more so than all the Browns. Much love to all the Browns!!!! We’re so proud you are our cousins!!!!!!!!! !